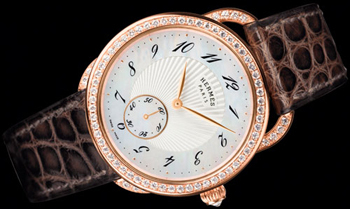 Watch company Hermes has announced the release of two new models from the line Arceau. New items are characterized by clean lines and elegance, style which emphasizes the fundamental values of the brand – the elegance and perfection of execution. 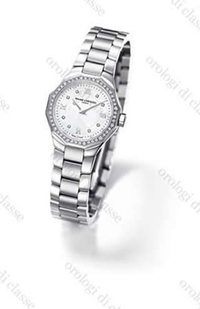 A distinctive feature of the new models – the arched eye, holding the strap to the chassis. The exhibition at the bezel in 2012 the company Hublot promises to provide the world is a miracle. Watches Calibre 2033-CH01, made on the basis of a unique mechanism antikythera. Its creation dates back to 100-m BC. By its very nature, time and a relative concept that man has always wanted to outline references. The development of mechanisms of clocks made it possible to provide a precise measurement.